This par 4 is not the longest but definitely yields more bogeys and doubles if you are not careful. The tee shot with a driver is risky as the fairway slopes left to right it can easily run into trouble in the trees on the right hand side. The smart play is to hit a long iron or fairway club to the fairway short of the fairway bunker creeping out onto the fairway up the left hand side. 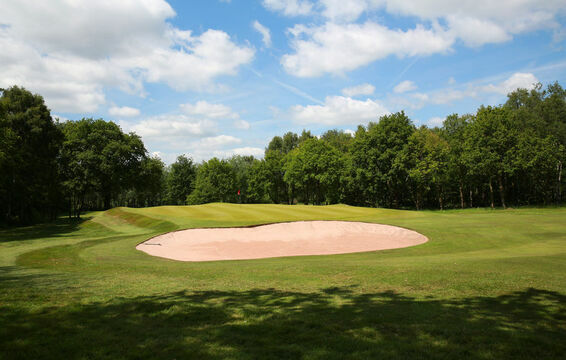 The second shot is played to a semi blind raised green; miss and your ball will kick away leaving a difficult chip.